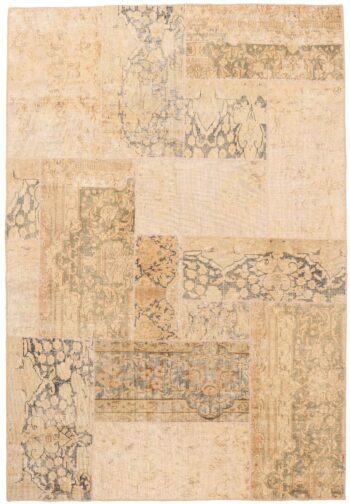 The name was first driven from old handmade rugs where the pile is generally very low or completely gone but the design and heritage of the rugs is noticeable. Our Persian vintage rugs which are from various well-known carpet weaving areas, towns and cities such as Tabriz, kirman, Kashan, etc. from Persia (today’s Iran) are genuinely old and have some age. They often go through a process of washing and finishing where we make the pile evenly low and depending on the requirement, they may also use certain dyes to give a more decorative look to the rug. They have been very popular among the decorators and designers where the introduction of colours are limited.